The Home speaker/assistant may not take the lead from Amazon's Echo, but the search giant must make a solid attempt. 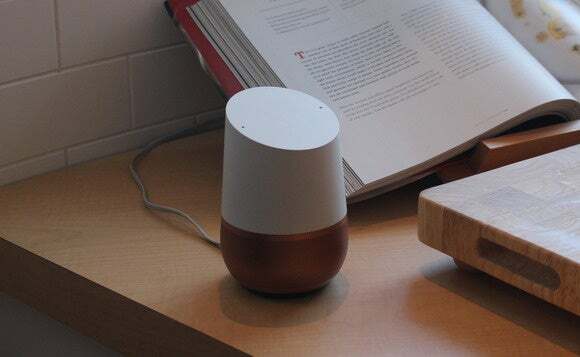 Last week, Google made a number of consumer-oriented announcements, most particularly a product called Home, a speaker/personal assistant designed to compete against Amazon’s Echo. Echo is no joke, and the Seattle company’s huge victory with its intuitive home assistant is prodding Google to up its game in a market where it should be winning. Not Nuance, not Apple, not Microsoft, not Google, but Amazon has figured out the home assistant, and Google has to respond with its full array of artificial intelligence assets. While Google’s Home speaker is positioned defensively to prevent Amazon from consolidating its lead in personal digital assistance, Google’s Assistant is a cloud-based capability, which will be deployed on many hardware platforms, including potentially thermostats, TVs, VR systems, and particularly phones. Google’s recent double-down on phones with the new Pixel can be interpreted through the analogous situation with Microsoft. When Microsoft brought out Surface, it begin to compete directly with its own partners, the Original Equipment Manufacturers (OEMs). Most were enraged, although they kept their sentiments private. Microsoft said it was simply setting a higher bar for them to meet and appeared not to have the infrastructure to support a full-scale effort. However, now that Surface is more than a $1 billion revenue stream, it can’t be treated as a “reference design” or even a bar-setter for OEMs. It’s a real business. And thus, the conflict is direct. The supplier and the competitor are one and the same. By the same reasoning, when Google goes further into phones, it is saying to OEM partners: we’re coming after your markets. We’re going to creep up via grandma steps and pretend this is just an experiment until it takes hold, at which point, it’s everyone for themselves. Why is Google lasering in on the phone? Android is the only real business at Google outside search and represents a huge platform. And the phone is the current smallest form factor for a full computer. You can bet that as soon as a no-comprise experience can be fit into an envelope the size of a watch, shipment volume will shift over to that form factor. And why not? Just tack the tiny thing on the back of a monster monitor, et voilà! A desktop. Goes in headphones, on the wrist, wherever you want. Google’s underlying motivation in attacking the home is fear, as usual, this time of search, Google’s strength, being rendered less relevant by apps and devices Google can’t crawl and by software platforms it doesn’t own. Thus, Google will likely continue to probe around the edges of various hardware markets. It already has Nest, which could be considered a first try. Expect something else to take its place. The virtual reality (VR) headset, Daydream View, is another example of a hardware (really plushware) beachhead that may or may not develop into a full-scale business. Behind it, however, is still the phone. Thus, the low $79 price tag doesn’t mean that much, since electronics are separate. VR will remain a niche market for the next 2 to 3 years and maybe longer. The use case in which someone is in a place safe enough to be visually isolated for long periods of time crops up only in specialized circumstances, like Millennials with their own apartments and a lot of free time or movie theaters. Augmented reality (AR), which can be blended with other modes, like exploration, will likely be much more palatable to the masses.